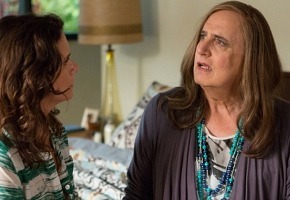 Transparent is set to have its Australian premiere on Nine next week. The acclaimed series starring Jeffrey Tambor will have a double episode “sneak peek” on Nine ahead of its formal launch on streaming service, Stan. All other episodes are expected to premiere on Stan, which will offer a free one month trial. Yesterday Stan began to offer free trials via email to some who had registered interest in the service ahead of its official launch next month. The winner of two Golden Globes; this dark comedy about an L.A. family with some serious boundary issues has their world unravelled when the families patriarch reveals something disturbing and unexpected about his personal life. 10pm Tuesday January 27th on Nine (second episode 10:40pm). This is dreadful! The first episode was actually agonising to watch … if it is meant to be funny then they missed completely. If it is aimed at a GLBTI audience then they have no idea what they are doing! Absolute garbage! You neglected to mention what an important factor Judaism is to the whole series…..neglect or ignorance? Jewishness is at the heart of the series, don’t understand this and you miss half the context. Bedders: neither neglect nor ignorance. The story pertains to the premiere. It’s certainly not a review as the show has not been made legally available to me yet. Any synopsis in italics is supplied by Stan/Nine which is standard for my site. As a previous acquaintance of the creator I have no doubt religion plays a part, but will hold off until I sight it. I don’t think I would’ve been that fussed about this normally but Jeffery Tambor is such an amazing actor, who couldn’t be drawn in! Not all that sneaky. It’s exactly what I expected to happen. Tease on FTA, then wring it for all it’s worth via the pay service before, perhaps, airing it on FTA. BSKYB did a similar thing in the UK with it’s PVR. Everyone’s PVR would receive and record a dedicated push channel (Foxtel does or did this too but without additional fees) and run ‘ahead of schedule’ viewing of shows on it. If you wanted to watch ahead of the rest you could pay to see the advanced episodes. Very sneaky to have the sneak peek on FTA then have to get Stan if want to watch more. That aside this really is a great series, love the family dynamics, I highly recommend it. I can’t wait to see more.